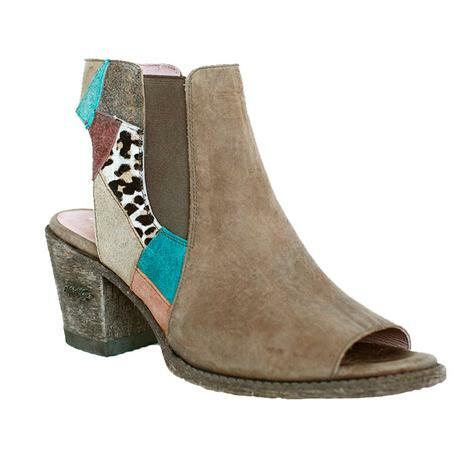 These boots by Free People are perfect if you're walking on the wild side. They are the ideal combination of rock and roll & cowgirl. 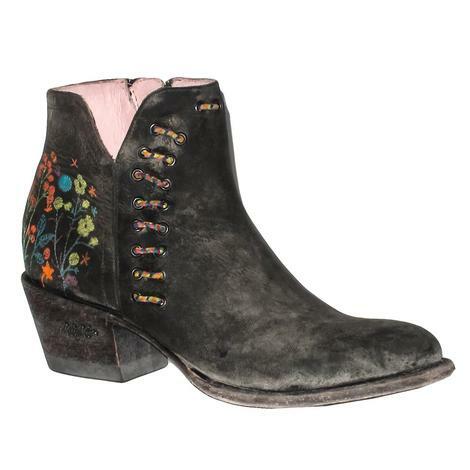 They feature a back zipper for an easy on/off design, and a rounded distressed toe that sets the ankle boots aside from the typical. Look your best and show the world your bold style with passion. 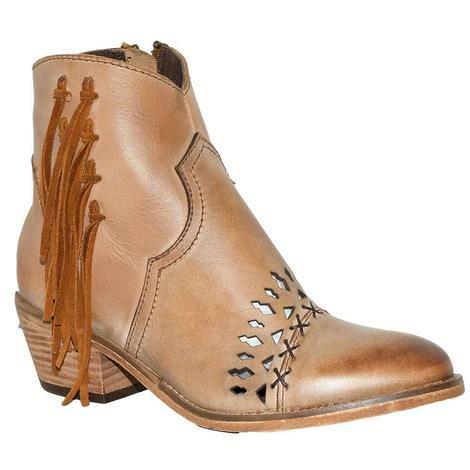 These cognac leather boots by Circle G features fringe and laser etching that adds genuine western flair! 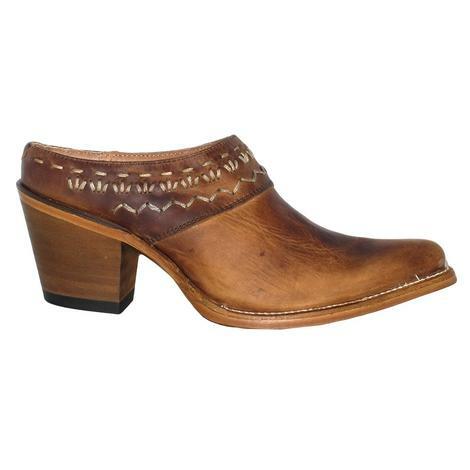 Other features include a round toe, cowgirl heel, and a leather outsole for ample ground traction. 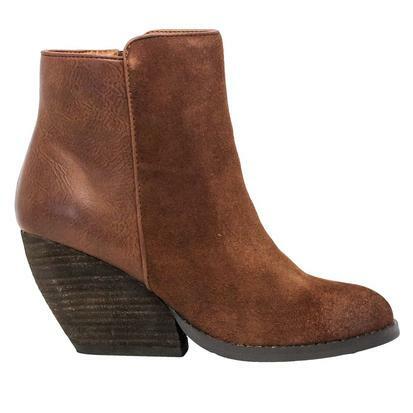 The Nell bootie in Tawny features sunburst-inspired stitching on beautiful smooth leather, which is hand-burnished at the toe for added depth and shine. The J-Flex Flexible Comfort System provides extra support and comfort for all day wear. 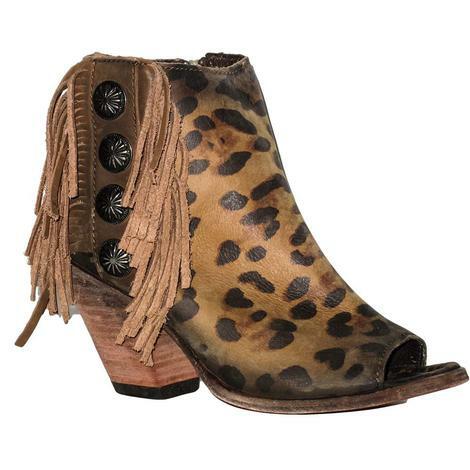 These booties by Liberty Black feature sueded leather, an allover leopard design, brown fringe, and metal concho accents on the outside. The peep toe style adds even more character. These are a must have! 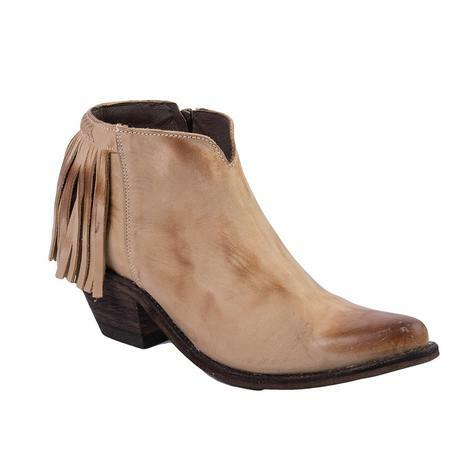 These premium leather slip-on boots come equipped with a fashion heel, snip toe and rubber outsole. Add this one to your collection today! 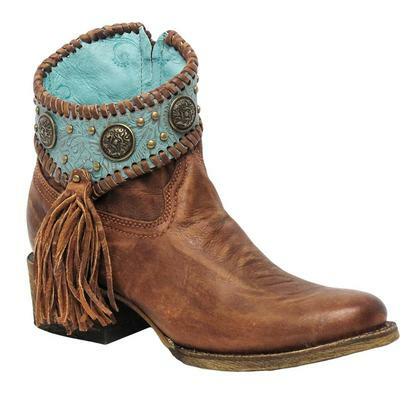 This gorgeous boot by Corral has leather lace around the turquoise collar that accents the conchos and studs. 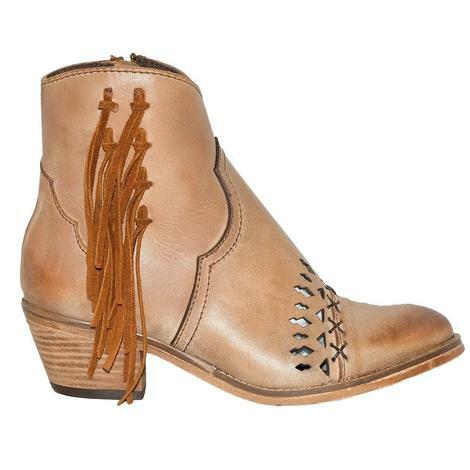 The sides showcase brown leather fringe. 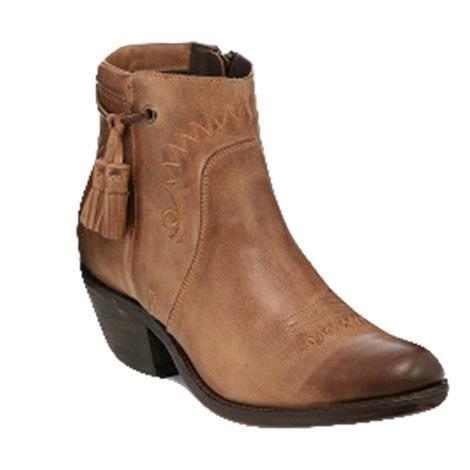 The boot also features a zipper for a more comfortable fit and makes fitting into these boots a breeze. This boot has a slanted shaft that is 7" at the tallest point. 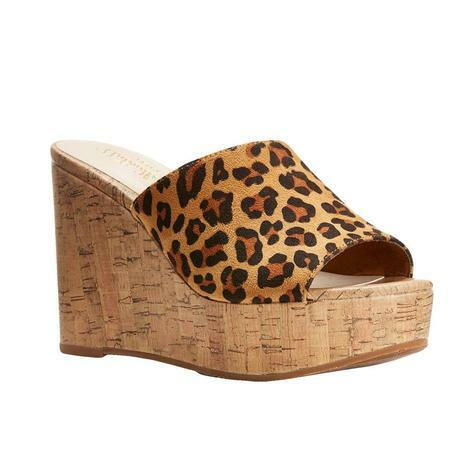 These wedges are not missing any details! 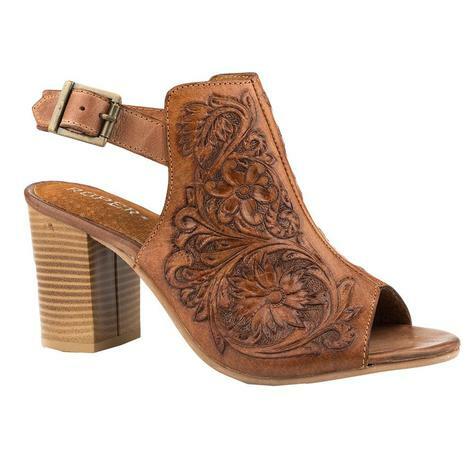 These new shoes by Roper are a beautiful mule style that feature an open toe with floral tooled detailing and a buckle closure. These have a sassy 3 inch heel that is perfect for all events happening this season. 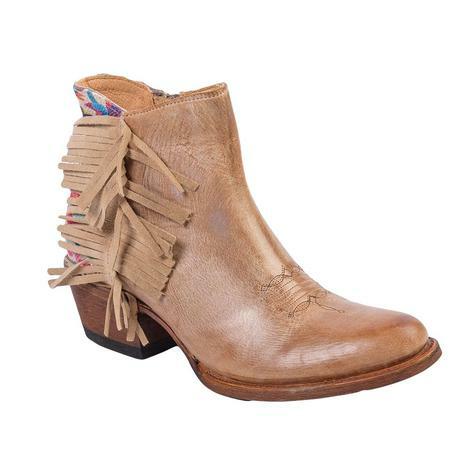 Match these with your favorite denim dress or skinny jeans. 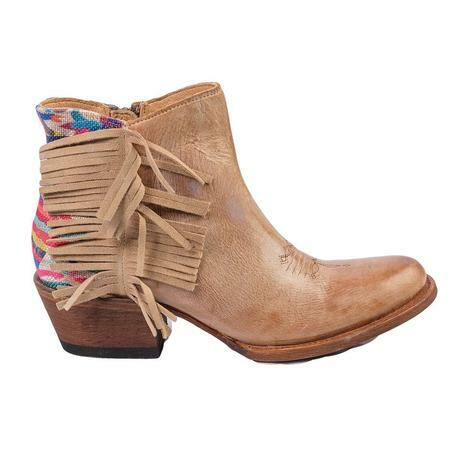 Lead the way with these trendsetting style for the free-spirited western fashionista in all of us! 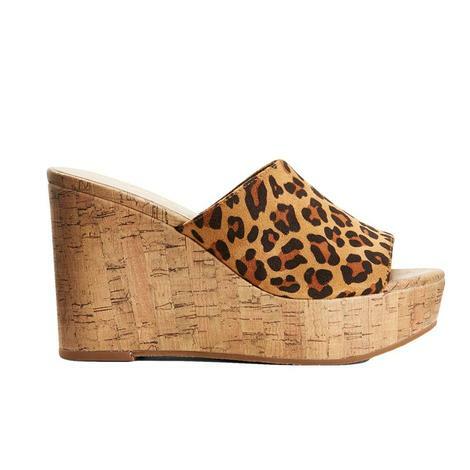 These sandals are slip-on and feature a cork wedge and a cushioned footbed for total comfort. 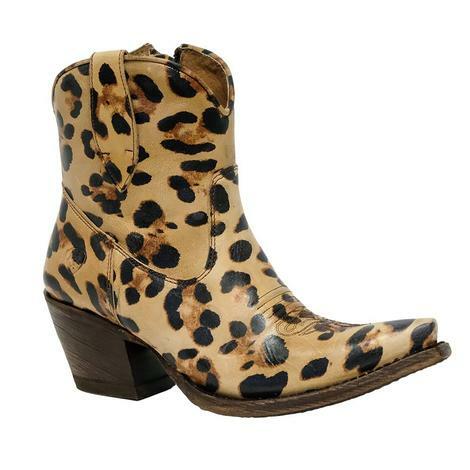 This Leopard print is a must have this season. 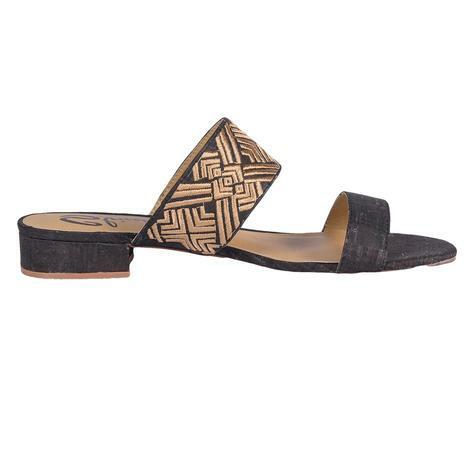 These stylish women's wedge sandals by Roper feature a Aztec-inspired wrap around the 3" sole for a fun, sassy look and feel. 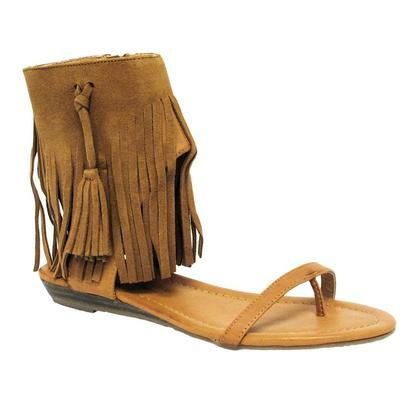 These will match just about anything in your wardrobe. Add these to your collection today! 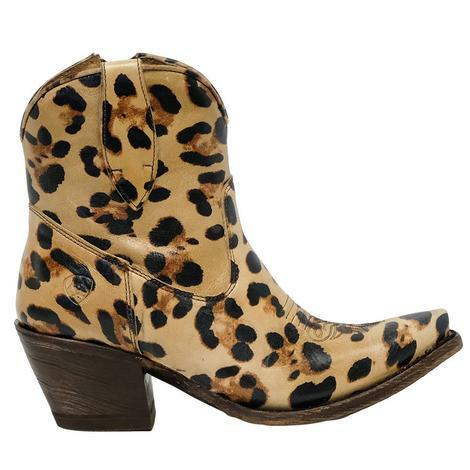 These gorgeous shorties have leopard print all over with a new west heel and snip toe. Order yours today while supplies last! 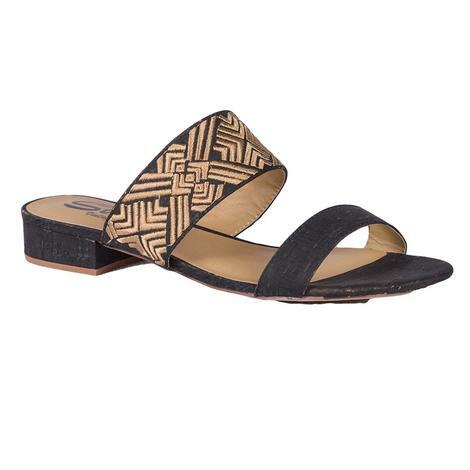 This slide-on black and gold sandal by SBICCA features a peep-toe upper and gold embroidered strap in a geometric design. The felted rubber sole has nonskid markings. 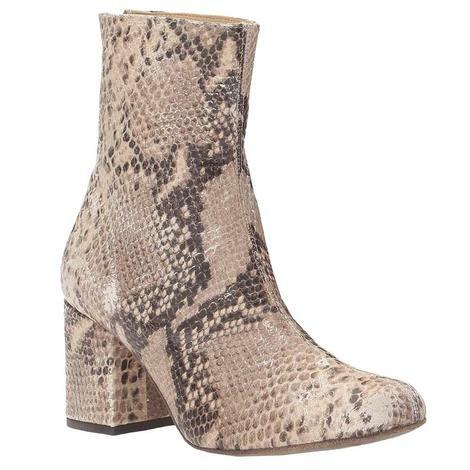 This SBICCA shoe has a white leather upper with woven lattice detail. Other features include a halo strap with back-zip closure, leather lining, Double-padded and sits on a wooden platform and block heel. This SBICCA sandal looks great whether you're in your favorite summer dress or lounging by the pool in your favorite swimwear. They're lightweight and have a smooth leather lining and cushioned insole that's extremely comfortable. Add these to your collection today! 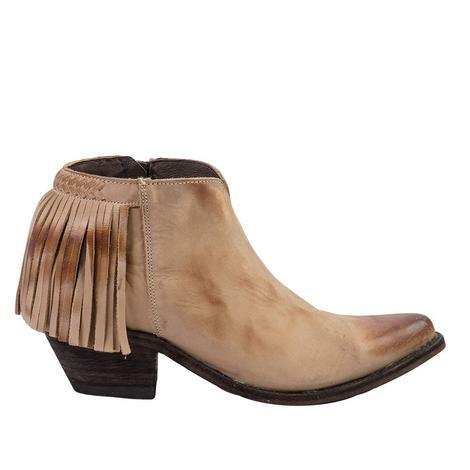 These leather booties by Old Gringo feature a low chunky heel, a pointy toe, fringe detailing on the ankle, and a side zippered closure for easy on and off. 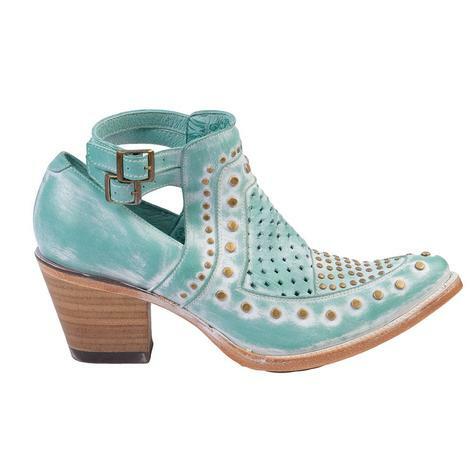 These turquoise booties by Corral feature light distressing with bronze studs and two adjustable ankle straps. 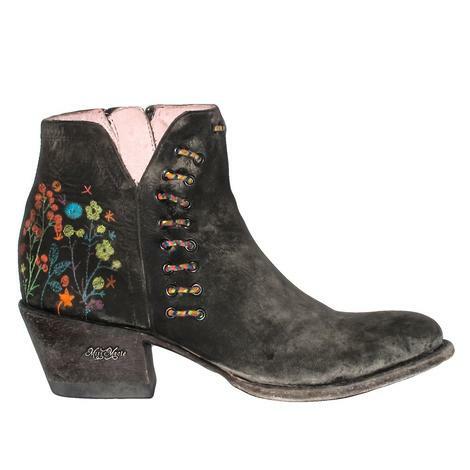 These boots have a colorful back that contrasts perfectly with the foot construction. The zipper closure will allow for easy on/off access as you go about your day. 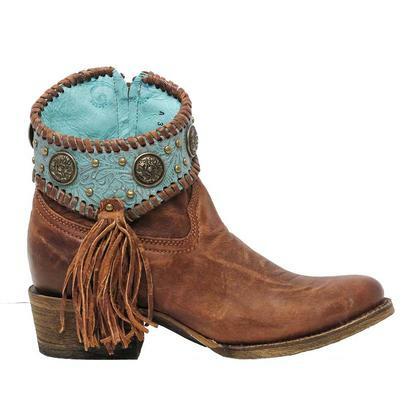 You can wear these Macie Bean boots with any skirt, dress, or pair of jeans in your closet. 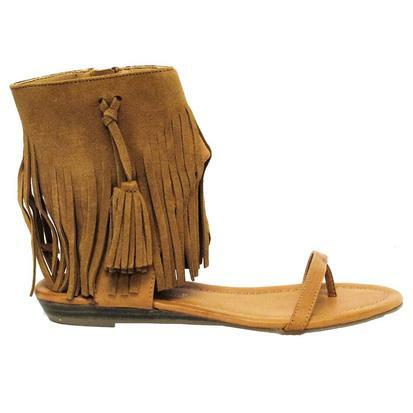 These fringe sandal by Very Volatile has a faux leather upper with fringe detailing with a side zip closure for easy on and off. 3/4" heel. 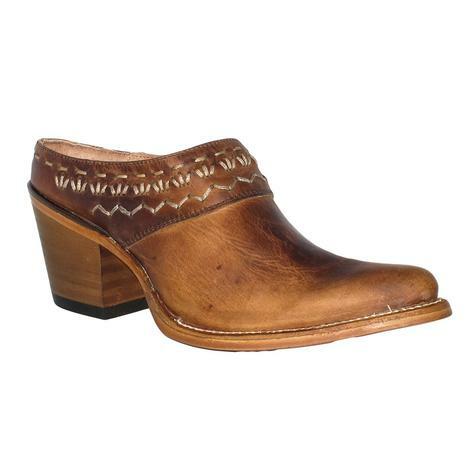 These brown wedge heels by Very Volatile are essential for any cowgirl that wants to dress up her western style. 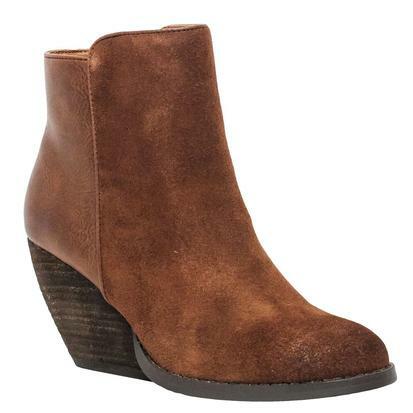 The boots have faux-brown suede on the front of the foot and a zipper on the inside of each ankle for easy on/off.